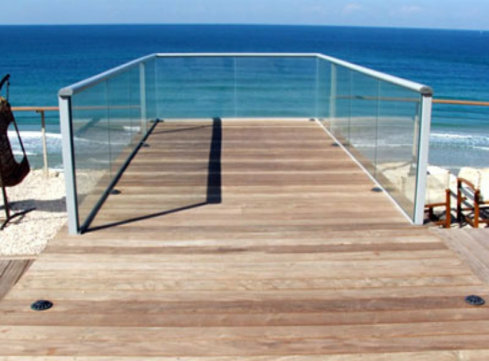 Woodclip, the practical and innovating answer to overcome the problems inherent in building wooden terraces, for professionals and private persons looking for safety, simplicity and improvement of their life style. The original feature of the assembly system (patented and tested) is the use of a new fixing device, the Woodclip mount. No more visible screws and wood destroyed. The Woodclip mount, totally invisible, allows a 3mm space for expansion between slats.